I loved this novel – a great read full of adventure! 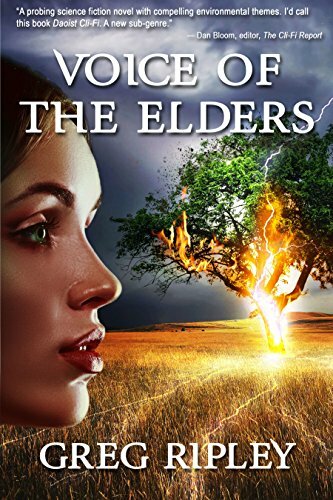 *(Free for Kindle Unlimited) Voice of the Elders (Deal, Not Free) by Greg Ripley. Price: $2.99. Genre: CliFi Deal, Sponsor, Fantastical Blend of Rich History, Ancient Lore and Fantasy. Rated: 4.7 stars on 8 Reviews. 294 pages. ASIN: B079YZ2LZH. Get the paperback version at $16.99 here, please. *Hittites: A Captivating Guide to the Ancient Anatolian People Who Established the Hittite Empire in Ancient Mesopotamia by Captivating History. Price: Free. Genre: History, Middle East, Turkey, Historical Study, Social History. Rated: 4.6 stars on 12 Reviews. 103 pages. ASIN: B07DBFZ12Y. The Roman Empire: A Captivating Guide to the Rise and Fall of the Roman Empire Including Stories of Roman Emperors Such as Augustus Octavian, Trajan, and Claudius by Captivating History. Price: Free. Genre: History, Ancient Civilizations, Rome. Rated: 4.2 stars on 9 Reviews. 127 pages. ASIN: B07CW5RDL9. Systematic Racism and Capitalism: Alliance of Oppression by Scott Heggs. Price: Free. Genre: Nonfiction, History. Rated: 4 stars on 11 Reviews. 55 pages. ASIN: B00VVTL42W. Posted on August 31, 2018 Author KibetCategories Ancient Times, Free Kindle History Books, HIstorical, HIstoryLeave a comment on Kindle History Deals for Tuesday! 5 Wonderful Free Kindle History Books for Monday! (Free for Kindle Unlimited) Primitive Materialism (Immortality, Groundwork to the History of Western Consciousness Book 1) (Deal, Not Free) by Melampus, Sigmund Black. Price: $4.99. Genre: Non Fiction Deal, Sponsor, History of Greek Religion from Prehistory to the Dawn of Classical Period. Rated: 5 stars on 1 Reviews. 410 pages. ASIN: B07FP4FTVV. Get the paperback version at $19.90 here, please. *Following Shadows: A World War II Novel about Japanese Concentration Camps, the Impact on Families, and Triumph of the Human Spirit (Deal, Not Free) by Janneke Jobsis Brown. Price: $0.99. Genre: Historical Fiction Deal, Sponsor, A Wonderful Multi Generational Family Tale about War and how it Impacted a Family. Rated: 4.9 stars on 9 Reviews. 548 pages. ASIN: B0758GLBBY. *Lost Shadows (Deal, Not Free) by Nathan Gregory, Nycci Miltz. Price: $0.99. Genre: Historical Fiction Deal, Sponsor, Post Apocalyptic, Alternate History, Alternative History. Rated: 4.1 stars on 47 Reviews. 304 pages. ASIN: B01MDMF3GR. The Mayas, the Sources of Their History Dr. Le Plongeon in Yucatan, His Account of Discoveries by Stephen Salisbury. Price: Free. Genre: History, Americas, Latin America, Central America. Rated: 4 stars on 15 Reviews. 124 pages. ASIN: B0082UWWW4. The Art of Typewriting: Introductory Chapters by Marvin Sackner. Price: Free. Genre: History. Rated: 4 stars on 6 Reviews. 352 pages. ASIN: B0146WY68O. Posted on August 29, 2018 Author KibetCategories Free Kindle History Books, HIstorical, Historical Fiction, HIstoryLeave a comment on 5 Wonderful Free Kindle History Books for Monday! Kindle History Deals for Sunday! *My Jobs and Why They All Sucked (Deal, Not Free) by Leonard Stegmann. Price: $0.99. 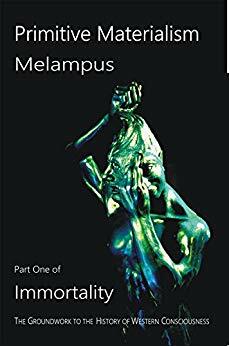 Genre: Non Fiction Deal, Sponsor, Biography, Autobiography, A Memoir of the Author’s Work History, A look at Our Society. Rated: 5 stars on 5 Reviews. 112 pages. ASIN: B00AQ0STRK. *Titanic – The Most Complete Story Ever Told by Matthew Vollbrecht. Price: Free. Genre: History, Modern (16th-21st Centuries), 20th Century. Rate 5 stars on 4 Reviews. 158 pages. ASIN: B007BV25FE. Posted on August 28, 2018 Author KibetCategories Free Kindle History Books, HIstorical, HIstoryLeave a comment on Kindle History Deals for Sunday!